Where do you shop for electronic parts and tools? Mitch and I are in the process of compiling a list of places to buy electronics parts and tools for a book we are writing about getting started with AVR microcontrollers. 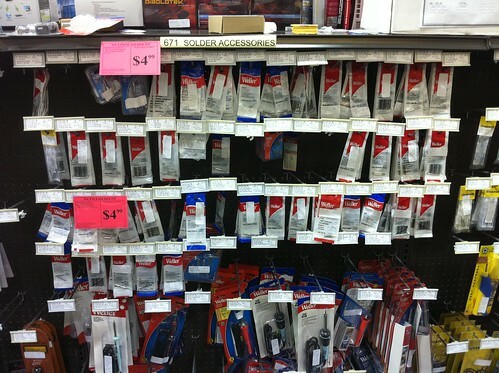 Where do you go to buy electronic parts, tools, and other supplies? Do you have a walk-in store in your area, or do you shop online? I’m particularly interested in hearing from readers outside of the United States. If you live in South America, where do you buy soldering irons, solder, resistors, capacitors, and other odds and ends? Do you buy locally or online? What about Europe? Asia? Africa? If you do have a favorite place to shop for electronics goodies, leave a comment here or consider adding it to the MightyOhm Wiki!